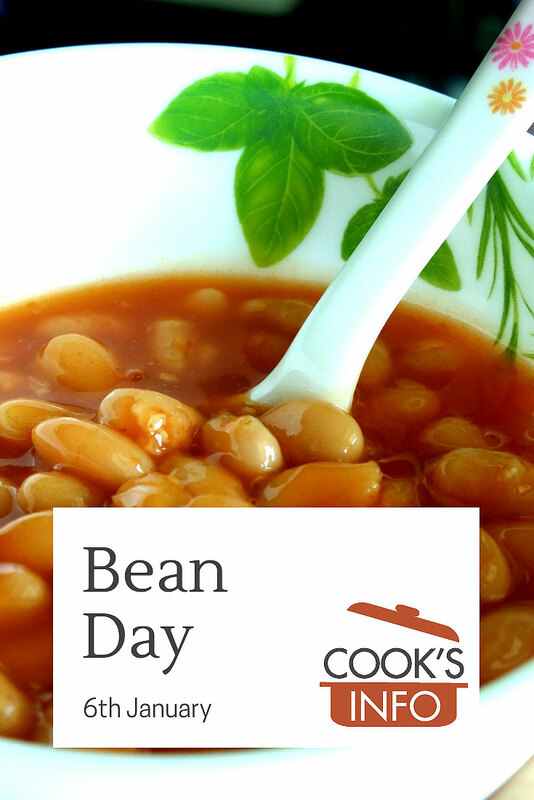 CooksInfo.com celebrates Bean Day on the 6th of January. If you’re in a rush today, you could mark the day by having some plain but honourable baked beans on toast from your favourite tin. Or, to be more adventurous, you could cook up a French cassoulet, or sample some bean burritos. The top dry-bean producing state in America is North Dakota. 270g (.6 pounds) of red kidney beans. It should be noted that there’s some disagreement about when Bean Day actually is. April date: Garrison, North Dakota, holds its Bean Day on 15 April. They say it’s held on this day (tax deadline day) because after paying taxes people will be eating beans for a while. October date: Around the beginning of October each year, in Athens, Alabama, the Fire Department holds a Bean Day dinner every year to raise money for charity. They feed about 3,000 people.